A visit to any Chinatown bakery this time of year will reveal a spectacular assemblage of mooncakes (月餅, yue bing) in a seemingly infinite variety of shapes, sizes, ornamentation, and fillings, all begging to be enjoyed in observance of the Mid-Autumn Festival, celebrated this year on September 24th. 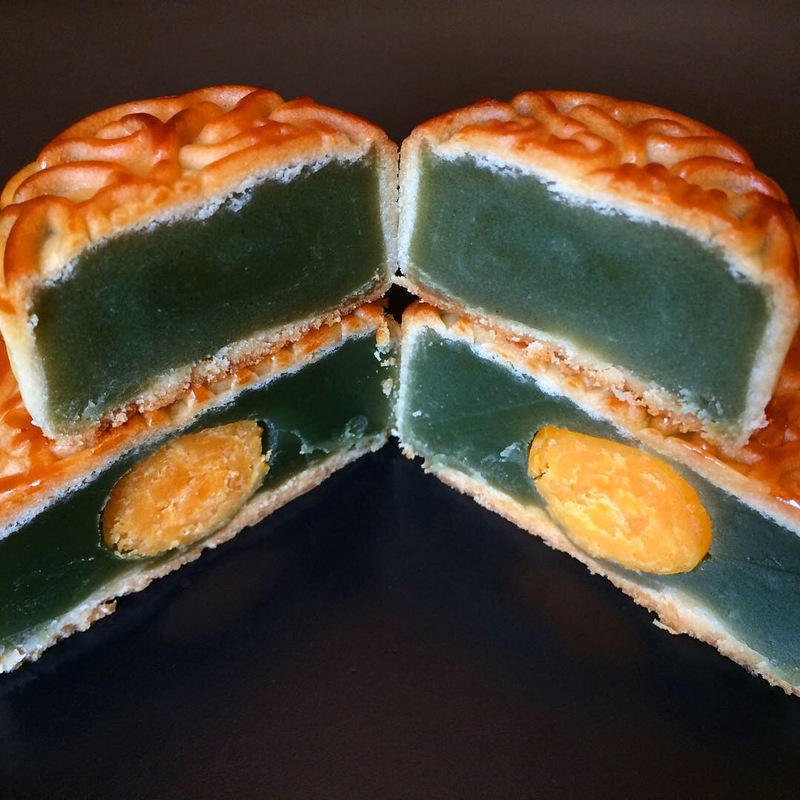 Here are two pandan mooncakes, one with preserved egg yolk and a mini version without, from Fay Da Bakery at 83 Mott Street in Manhattan’s Chinatown. 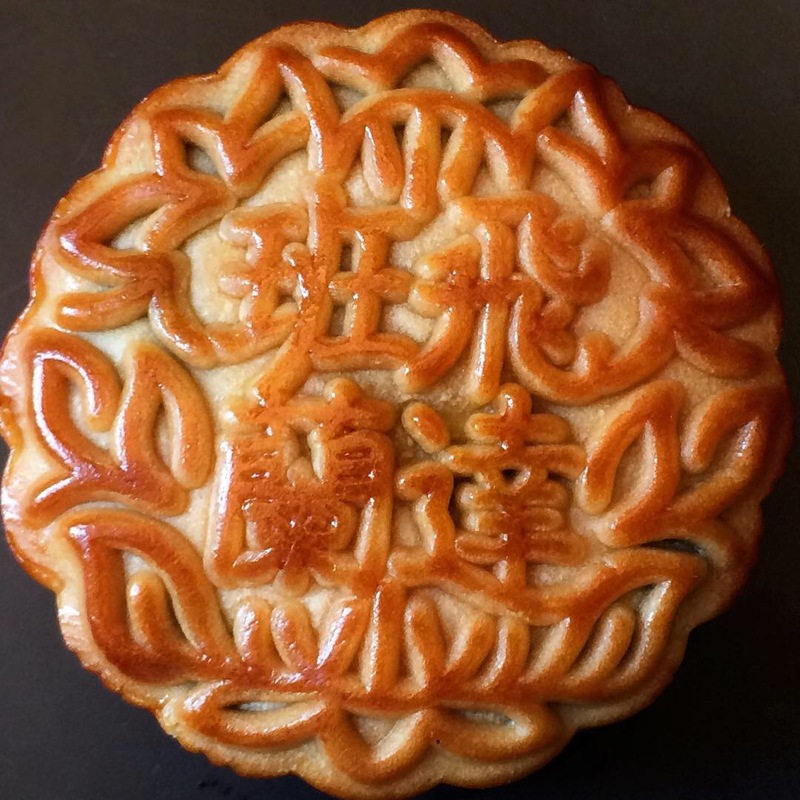 To learn more about the holiday and these delicious treats, please check out my Chinese Mooncakes Demystified post detailing their similarities and differences in an attempt to shed some light (moonlight, of course) on their intricacies.